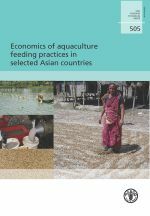 This technical paper provides an analysis of the economic implications of, and the reasons for, adopting various feeding practices for different fish species and aquaculture systems in Asia. The systems studied include extensive/traditional, semi-intensive and intensive farms for a number of different species including sutchi and pangasiid catfishes (Bangladesh and Viet Nam), hybrid catfish (Thailand), carp polyculture (India and China), prawn and milkfish polyculture (the Philippines). 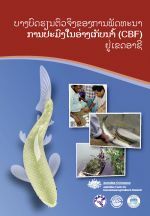 This is a draft conservation strategy for the Mekong giant catfish prepared under the project Development of a conservation strategy for the critically endangered Mekong giant catfish, released for public consultation. The strategy considers the population and legal status, conservation vision and goals, factors affecting the wild population and outlines a conservation strategy. The document also considers monitoring, research and adaptive management and implementation issues given the transboundary and multi-institutional nature requirements for effective implementation. 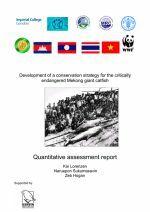 This report provides a quantitative assessment of the conservation of the Mekong giant catfish, Pangasianodon gigas, and an evaluation of the likely effectiveness of different conservation options. 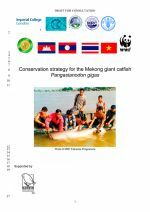 The report conisders the history of fisheries exploitation and environmental change, the estimated wild population size of P. gigas, the role of captive populations held by the Thailand Department of Fisheries and interactions with cultured fish. It makes a series of recommendations for conservation of this species. 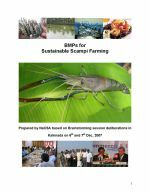 This publication contains the proceedings and major recommendations of the expert workshop which tackled three major themes: Seed quality, genetics, technology and certification; seed networking, distribution, entrepreneurship and certification; and how rural fish farmers can benefit from the seed sector. It also contains the outcomes of a desk study consisting of three regional syntheses, twenty-one country case studies and five thematic reviews (seed quality, genetics and breeding, seed networks, role of seed supply, farmer innovations and womens' involvement). The primary objective of this manual is to provide guidelines for attaining better practices in culture-based fisheries, an emerging practice in rural areas in the Asian region. It deals will the principles of culture-based fishery practices, primarily based on relatively long-term experiences in Sri Lanka and Vietnam. It is not only targeted at researchers per se, but also at stakeholders at the grass root levels, as well as planners and policy developers. 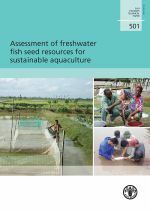 This manual provides practical advice on good management practices for sustainable freshwater prawn (scampi) farming in India. The manual covers general principles of sustainable farming, relevant legal issues including for hatcheries, land and water use, impact on natural habitats, hatchery, nursery and growout management, and environmental and social responsibility. The manual was developed via a multi-stakeholder consultation held at the Head Office of the National Centre for Sustainable Aquaculture (NaCSA), Kakinada, 6-7 December 2007. The Project 'Artificial propagation of empurau, Tor tambroides and semah, Tor douronensis, two species of commercial and conservation value to Sarawak, Malaysia' successfully achieved captive breeding and larval to fingerling rearing. 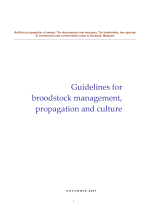 An enhancement strategy for the long-term management of semah and empurau broodstock, and conservation of wild stocks, based on genetic findings is discussed. Guidelines on best husbandry management practices to ensure a supply of physically and genetically healthy quality seed are provided. 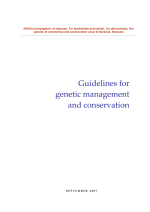 This document presents current status on genetic diversity of empurau and semah in Sarawak, Malaysia, including taxonomic status and a management guideline based on genetic data. Inadvertent mixing of the two species, especially during breeding, may lead to hybridisation, a threat to the genetic integrity of wild populations. Surveys on current status of genetic variability of empurau and semah are reported herein, and the results from which are used as baseline data for development of a genetic management plan. 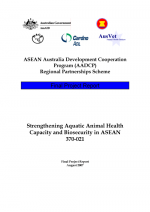 This final report of the project “Strengthening Aquatic Animal Health Capacity and Biosecurity in ASEAN” contains two parts: A. Recommended Minimum Operational Requirements for Implementing National Aquatic Animal Health Strategies within ASEAN and B. ASEAN progress in the implementation of National Aquatic Animal Health Strategies. The report provides guidance for countries in ASEAN to implement key elements of national aquatic animal health strategies, and for monitoring progress of national strategy implementation in ASEAN member countries. 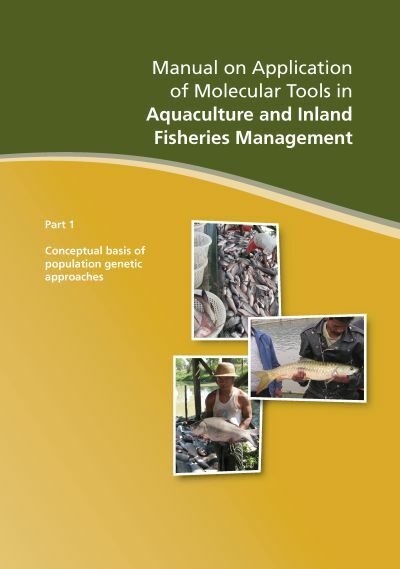 This practical manual provides better management practices for the farming of shrimp in tambak systems in Aceh, Indonesia. 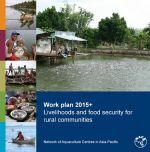 The manual addresses the formation of farmer groups, crop planning, and specifies better management practices. These include: Location of tambaks, design and construction of tambaks, pond preparation practices, shrimp seed selection and stocking practices, feed management practices, water management practices, health management practices, harvest and post-harvest handling practices, keeping records and improved marketing practices.